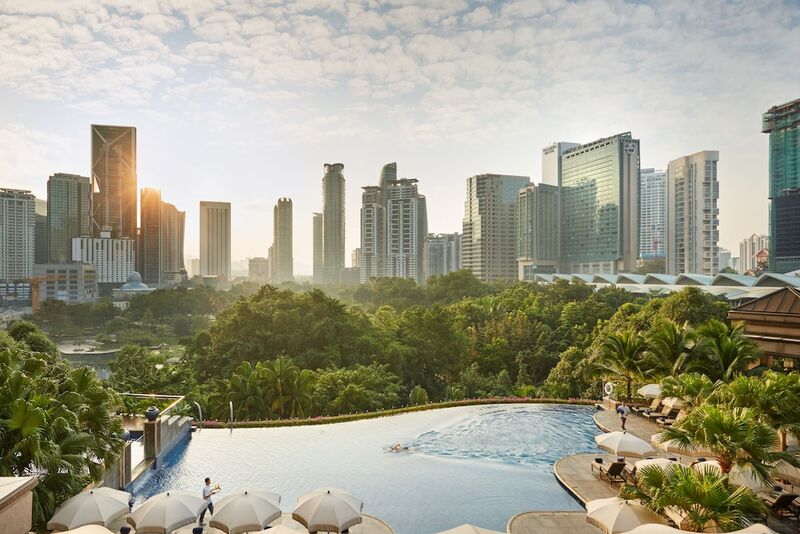 Located beside Sheraton Imperial Kuala Lumpur, you can easily make your way to The Row KL from anywhere in the city as it is less than five minutes away from the Medan Tuanku Monorail Station. From catching live performances by local acts to savouring authentic local cuisine, read on for our helpful guide of what to do in The Row KL. Butter + Beans Café is a modern and cosy establishment where you can enjoy freshly-brewed teas and espresso-based coffee, as well as a selection of homemade cakes and pastries. Featuring a minimalist interior, rustic furnishings, and relaxing music playing in the background, this café is ideal for a caffeine fix after a long day of exploring Kuala Lumpur. Priced at RM7 onwards, Butter + Beans Café serves your standard coffee drinks such as cappuccino, latte, and Americano while sweet treats ranges from sweet Danish pastries and savoury quiches to salted caramel, mocha, and lavender earl grey mille crepes. League of Captains serves as a café and boutique by day and a bar by night. Founded by local streetwear brand Pestle & Mortar, the glass-fronted venue is fitted with cement flooring, high bar stools, and glass displays that also serve as dining tables. The upstairs boutique displays casual clothing, backpacks, and accessories by Pestle & Mortar Clothing, Publish, Raised by Wolves, and Hypergrand. Food-wise, League of Captains offers homemade sandwiches and pastries - standouts include the coconut brownies, white chocolate macadamia cookies, and blueberry zucchini lemon buttercream cake. Its daily happy hour promos are between 16:00 and 20:00, where you can enjoy five bottles of Heineken for RM75 or four bottles of Strongbow for RM70. Timbre is The Row’s unofficial concert venue, hosting musical performances that ranges from intimate acoustic sets to local rock bands. Hailing from Singapore, the venue features air-conditioned and outdoor dining sections that can accommodate over 200 people, as well as a fully-stocked bar and performance stage where you can enjoy live performances from Wednesdays to Saturdays. Timbre also offers attractive promos all night long, with three bottles of Tiger priced at RM39 and Strongbow Cider at RM57. If you’re feeling peckish, the extensive menu comprises thin-crust pizzas, fusion tapas, salads, pastas, and grilled steaks. Limapulo: Baba Can Cook is well-frequented for its authentic Nyonya cuisine. Open for lunch and dinner, the restaurant’s signature dishes include its oil-free tamarind chicken (RM17) and ayam berempah or chicken with spicy coconut gravy (RM17) served with rice, fried omelette and a side of vegetables. Served on Wednesday, Friday and Saturday is the nyonya laksa (RM9.90), a hearty bowl of rice vermicelli with fish balls, fishcakes, chicken, fresh cucumbers and boiled egg. Limapulo: Baba Can Cook also serves delectable desserts including ais kacang (shaved ice, palm sugar, and corn) and cendol (coconut milk, jelly noodles, shaved ice and palm sugar). Toastina Café & Bar, situated within Sheraton Imperial Kuala Lumpur, is a stylish café that serves salads, pastries, sandwiches, premium-brewed coffee and fruit juices by day and transforms into a sophisticated bar by night. Perfect for lounging in the evening, gusts can opt for oversized sofas and low coffee tables indoors or the alfresco section which offers rattan sofas with bright orange cushions. Toastina Café & Bar serves 18 varieties of whiskeys, cocktails and mocktails, as well as imported beers and wines from Starwood’s Wines of the World menu from South Africa, Australia, New Zealand, Chile and Spain. A large selection of Cuban cigars is also available at Toastina Café & Bar.